While fish oil may increase oxidative stress in some circumstances, the vast majority of studies show that fish oil generally does just the opposite. Fish oil is the best supplement for obtaining remarkable health benefits of EPA and DHA. If you’ve read some of the headlines about fish oil lately and started wondering, “Can fish oil bad for you?” you’re not alone. While most nutritionally-savvy doctors and scientists say you should regularly consume fish oil in the form of food or supplements, some claim fish oil is bad for you. They contend that fish oil, especially in excess, increases oxidative stress (the production of harmful free radicals) and suppresses your immune system, leading to accelerated aging and upping your risk of disease. What’s behind these assertions? Are they true and do they really make fish oil more harmful than helpful? Furthermore, the research indicates that even when fish oil does increase oxidative stress, that increase is not enough to overwhelm the body’s antioxidant systems or to negate its positive health effects overall. This was demonstrated in a study published in 2012 in The Journal of Nutrition, in which researchers compared oxidative stress and antioxidant capabilities in healthy people after taking 2.2 grams of EPA or DHA, or 4.4 grams of ALA. EPA and DHA are the omega-3’s found in fish oil, while ALA is the omega-3 found in plant oils such as flax, which the body must convert to EPA and DHA once it is absorbed. It is the EPA and DHA that the studies have found to be so beneficial to health. 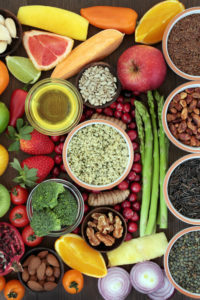 After 6 weeks, the researchers found that the oxidative stress levels were higher in the EPA and DHA groups than the ALA group, but this increase in oxidant stress was not enough to damage the cells. The authors found no change in antioxidant capacity in any of the groups. When they checked the oxidative stress in the actual cells, they found no increase. In fact, they found evidence that all three interventions actually decreased some signs of oxidative stress in cells, such as the level of hydroperoxides in red blood cells. Hydroperoxides are one of the compounds formed when the cells are in a state of oxidant stress. Many of the fish oil foes argue that ALA from plant oils (such as flax, borage, etc.) is the best way to get omega-3 fats. They believe that that the ALA found in plants is sufficiently converted to EPA and DHA. This study’s findings, along with the results of numerous other studies, contradict that assumption. (For more information on this topic, stay tuned for an upcoming article. We’ll discuss whether it’s possible to synthesize optimal amounts of EPA and DHA from plant-based omega-3 oils). In summary, you can now put the “is fish oil bad for you” question to rest and stop worrying about purported fish oil dangers. 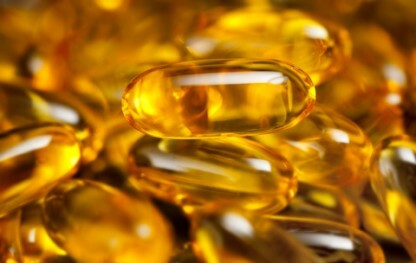 Fish oil pills are the best supplement for obtaining remarkable health benefits of EPA and DHA. Research shows that when you increase your EPA and DHA levels by taking fish oil, the higher level of oxidants that may result are not problematic or harmful. By far, the vast majority of research on fish oil shows that increasing your EPA and DHA levels is beneficial for overall health and can help reduce the risk of many diseases, including heart disease, depression, chronic fatigue, osteoporosis. If you’re not taking fish oil, now is a good time to start. Make sure you take a high-quality product that’s guaranteed pure. If you’re against fish oil for any reason, EPA/DHA supplements from algae instead of fish are now commonly available. If you’ve tried taking fish oil supplements and have experienced great benefit from it, please tell us about it below. What was the best fish oil supplement? How long have you been taking it? What benefits of fish oil did you experience? You can encourage others who are ready to experience the remarkable health benefits of fish oil for themselves. Environ Health Perspect. 2008 Sep;116(9):1237-42. Brain Behav Immun. 2013 Feb;28:16-24.
aging, antioxidant, antioxidant activity, benefits of fish oil, best fish oil, best fish oil supplement, brain, chronic fatigue, dangers, depression, fish oil, fish oil bad for you, fish oil controversy, fish oil pills, fish oil supplements, food, free radicals, health, heart disease, immune system, is fish oil bad for you, nutrition, omega 3, omega 3 fats, osteoporosis, oxidative stress, plant based omega 3 supplements, stress, studies show, supplement, supplements. I’ve been taking fish oil for several years and I have no health problems at all! My cholesterol levels and blood pressure are perfect. There were two reasons that made me take krill oil, general body ache and eye sight issues. The biggest difference I noticed was on my eye sight, which improved considerably, but it can only improve up to a certain point and no further. The type of oil I took and take at regular intervals is from krill and contains a high content in astaxanthin. My only concern with fish oil is any potential to cause arrythmias. I have been taking fish oil to help me during the weaning process of SSRI withdrawal and it seems to help but I worry about any detrimental cardiac effects. Studies are conflicting but generally show a reduction in arrythmias with fish oil. There are a couple studies that show a statistically significant increase in arrythmias. Just would like to put this to rest so I don’t worry. I’ve had PVC’s in the past (and present) and just want to be safe.